Welcome to my website. Thank you for visiting the site. I hope you will find the information it provides both interesting and informative. 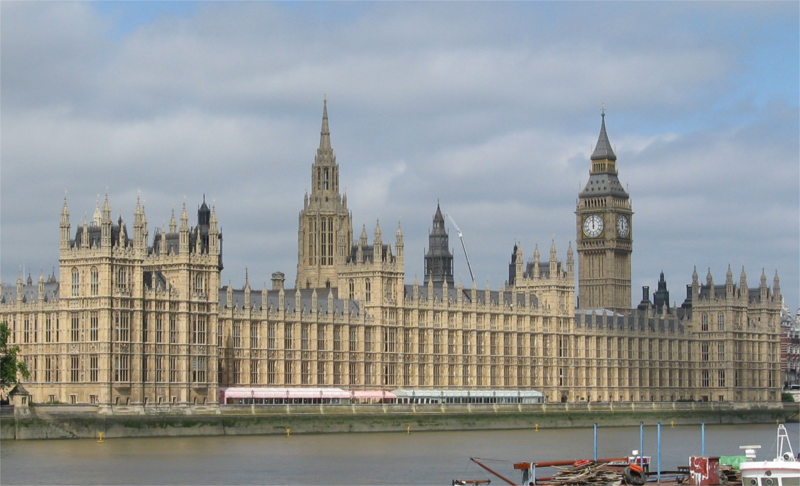 In this website, I will tell you about my early life, life in the UK, family, business, achievements and my role in Northern Ireland community, and my ongoing relationships with India, the land of my birth. If you have comments or questions and want to contact, click on the contact button on any page within this site. 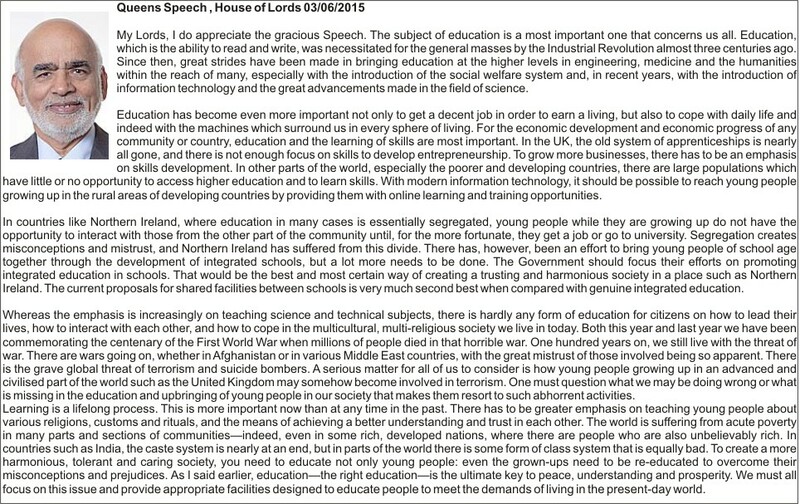 Debate on Queen’s Speech " home affairs, justice, constitutional affairs, devolved affairs, communities and local government"
Attending the John Hewitt Society Summer School. Through lectures, discussions and debate, the Summer School raises issues of relevance to the divided society in Northern Ireland, providing a platform for audiences to engage with speakers from different backgrounds, experiences, and points of view. 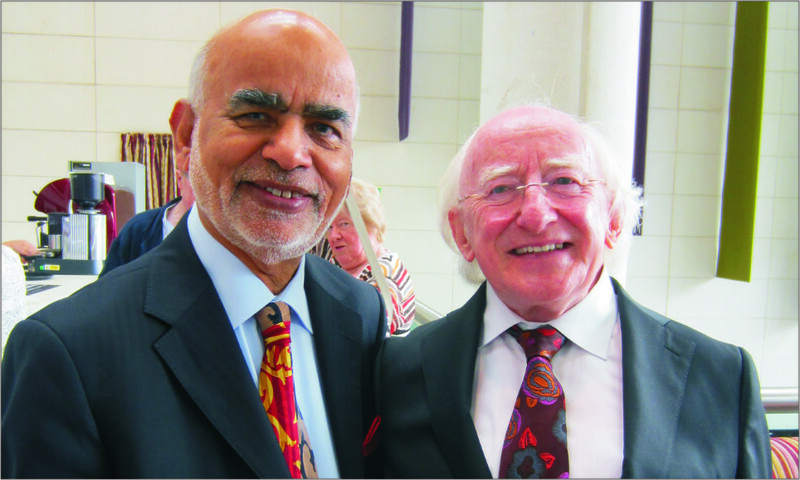 Born at Sanghol in Punjab (INDIA), I have lived in Northern Ireland since 1966. 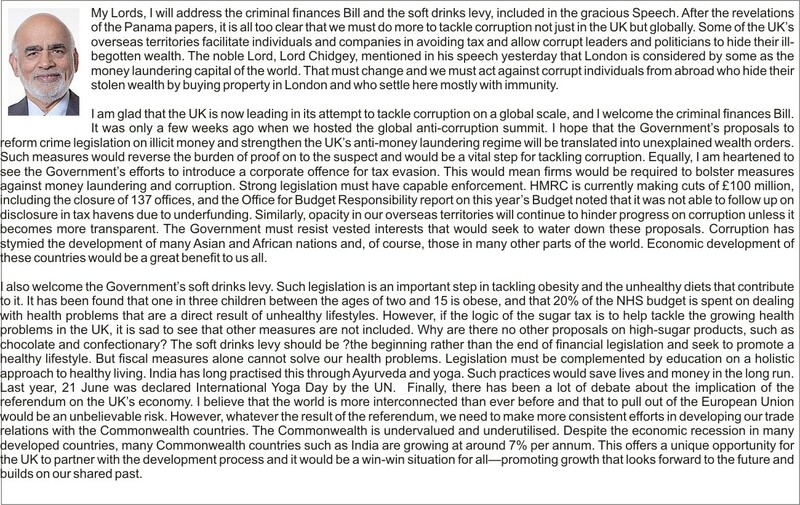 Some of my achievements are listed below:- •• Appointed to the House of Lords in 2004 by the then UK Prime Minister Tony Blair in recognition of my work in driving the successful regeneration of Belfast city centre and my efforts to encourage political dialogue which led to peace talks in Northern Ireland. •• During the darkest days of the “Troubles” , hosted peace talks by inviting key political and religious leaders and encourage a dialogue. This dialogue ended 30 years' of terrorism. This was perhaps the most turbulent periods in the recent Irish History. 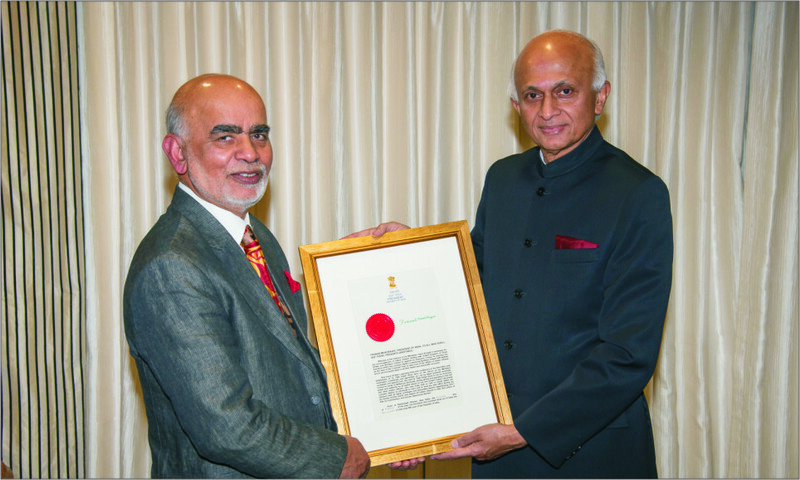 •• Appointed by Government of India as Honorary Consul for India to Northern Ireland from 2004-2012 and then reappointed in 2014. I am currently serving India. 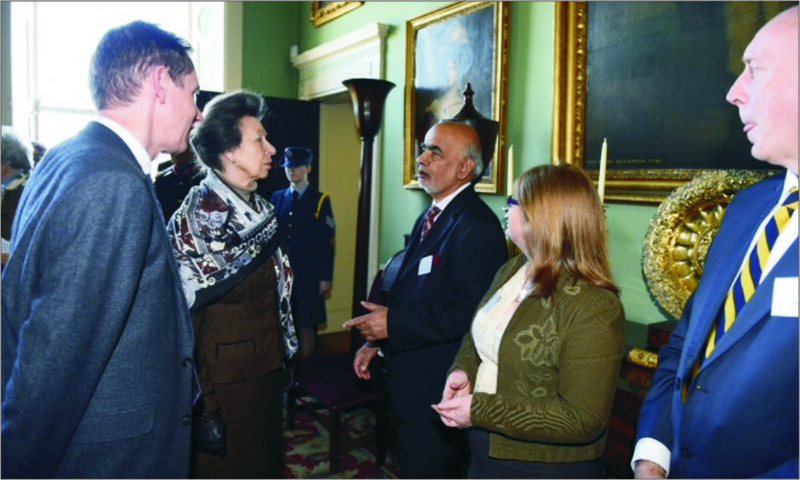 •• In March 2003 I was invited to the Buckingham Palace to have Lunch with her Majesty Queen Elizabeth II, The Queen of England. •• Awarded the Most Excellent Order of the British Empire (MBE) in 1996. 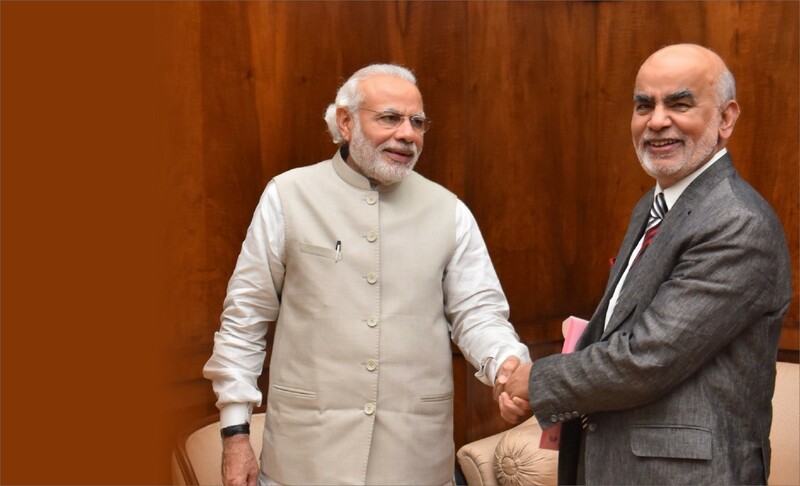 •• Elected President of GOPIO (Global Organisation of People of Indian Origin) International in 2009 and is currently the Chairman of GOPIO International, headquartered in Mauritius. •• First ethnic businessman to be elected President of the Northern Ireland Chamber of Commerce, the region's biggest business organisation. 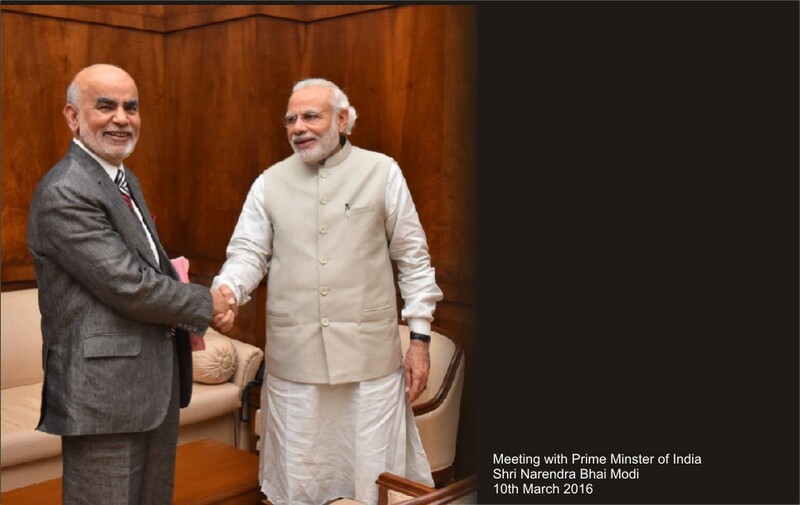 •• Actively promoted business, education, political and cultural links between India and Northern Ireland, leading a series of business missions from Northern Ireland to India. Due to these efforts, India is the 2nd biggest investor in Northern Ireland next to USA and many Northern Ireland companies have set up businesses in India and vice versa. 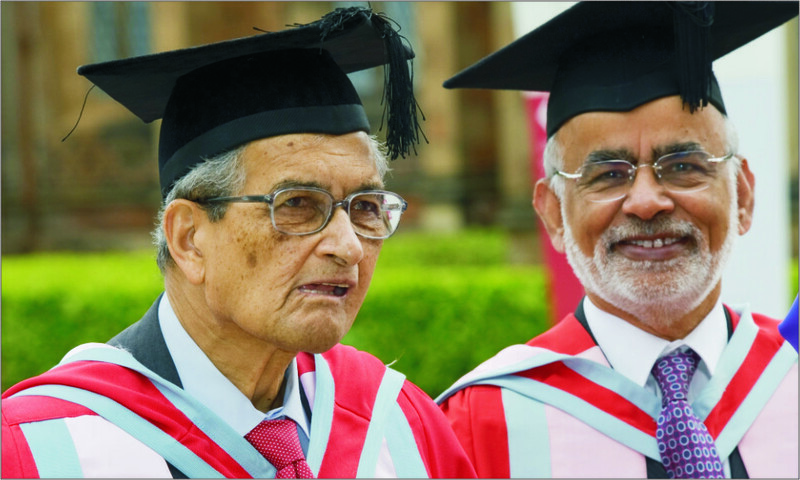 •• Awarded honorary degrees from the region’s two universities, Queen’s University Belfast and the University of Ulster, as well as the Bengal Engineering and Science University. •• Awarded Pravasi Bharti Samman Award by Dr Abdul Kalam, then President of India, in 2007 for his work in promoting links between U.K. and India, and outstanding service in peace efforts and charitable causes. •• Awards for enterprise from the Confederation of British Industry in the UK and from the Northern Ireland Tourist Board for his work to promote tourism. •• Recipient of prestigious lifetime achievement award by the Belfast Chamber of Trade and Commerce, 27th May 2016 and The Recipient of the LCN (Licensed Catering News) Lifetime Achievement award on the 10th June 2016. 1966 I came to Belfast from England and started my first business, a small café near the city centre. By 1971 this business had grown to three restaurants. 1971 The restaurants had all fallen victim to the terrorism by December 1971. I then moved into clothing by setting up a small fashion boutique. The business grew to a series of shops and a wholesale operation. Paralelly I also invested in commercial and residential property. 1981 Subsequently I set up Andras House, as the vehicle for my business interests. The property developments included a series of retail units, restaurants and office blocks. These helped to kick-start what became known as the "Golden Mile" and helped in bringing life back into Belfast and leading to the regeneration of the entertainment heart of the city at a time when no-one would invest in the city centre because of the terrorism. 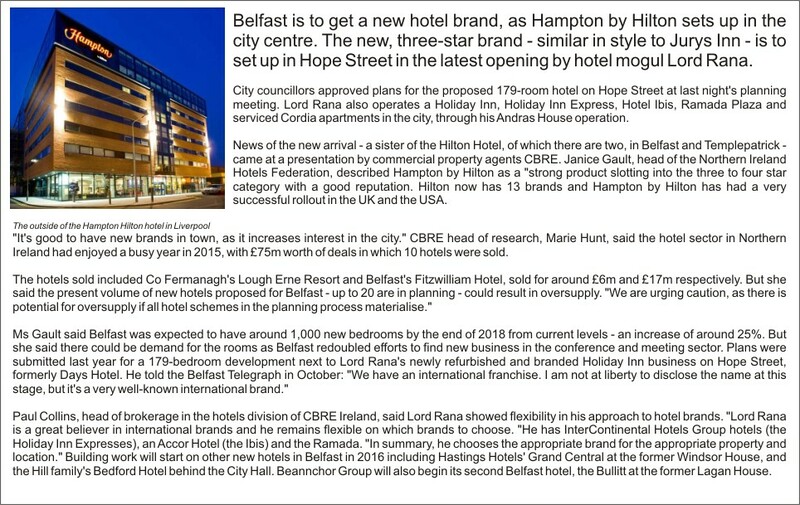 1990 I opened the 82-bedroom Plaza Hotel, the first hotel to open in Belfast for over 20 years. Further hotel developments followed including Renshaws Hotel in 1992 and in 1996 the Express by Holiday Inn with 118 bedrooms. 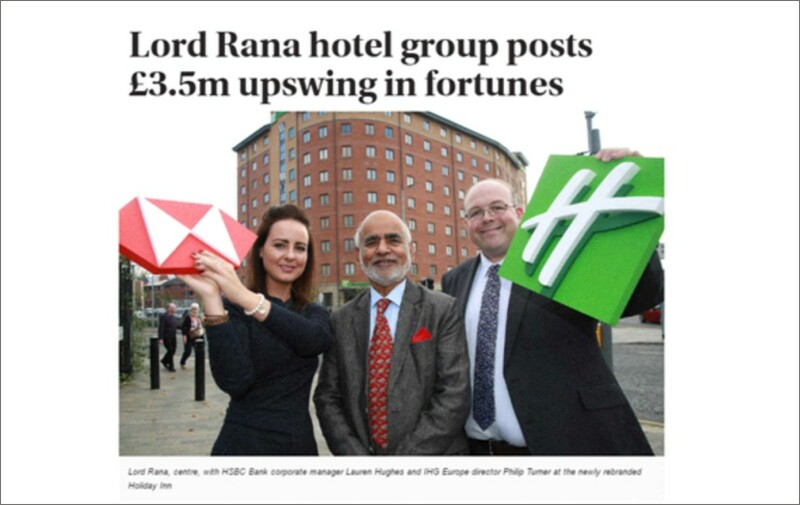 2001, I opened the 4-star Ramada Hotel with 120 bedrooms. Days Hotel opened in May 2003. This is the largest hotel in bedroom numbers (244) in Northern Ireland. 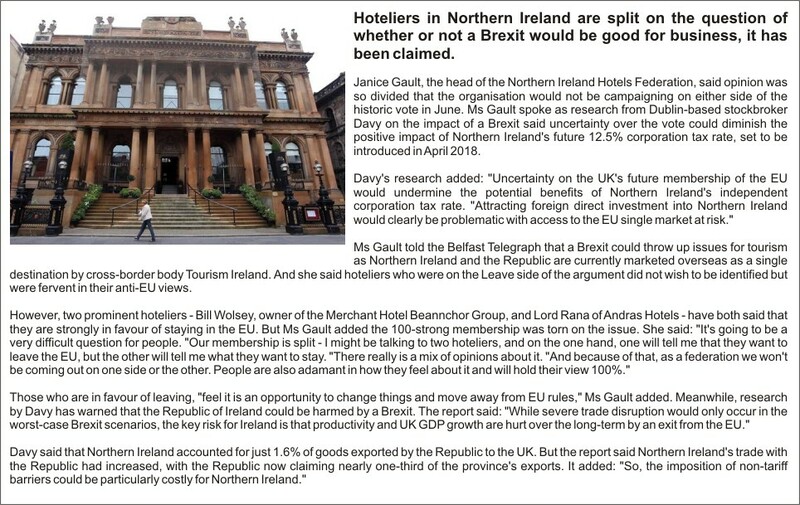 He has completed five hotels, brought five international brands to Northern Ireland. Further sites were acquired in other cities including Londonderry. 2010 The first Ibis franchised hotels in Northern Ireland, Ibis Belfast and Ibis Queen’s Quarter, were opened by his company. 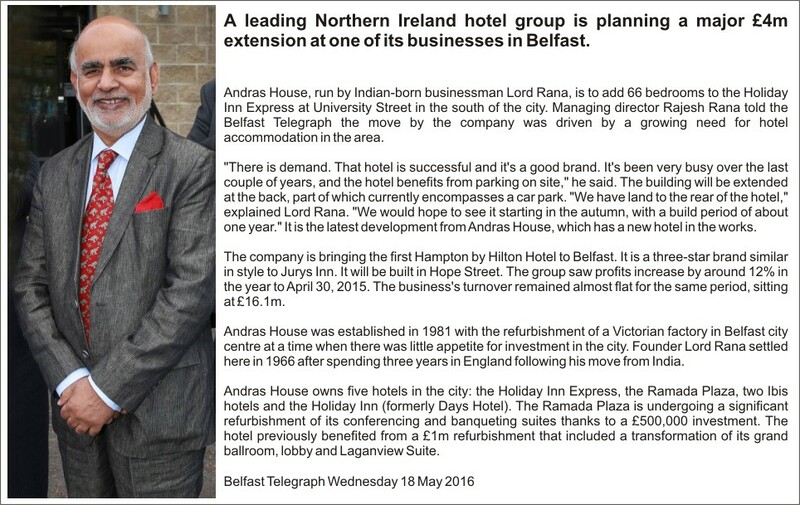 Andras House Ltd started one of Belfast’s most ambitious and visionary development projects. Lincoln Centre is the current £80 million project that will make a very special impact on the city life of Belfast. 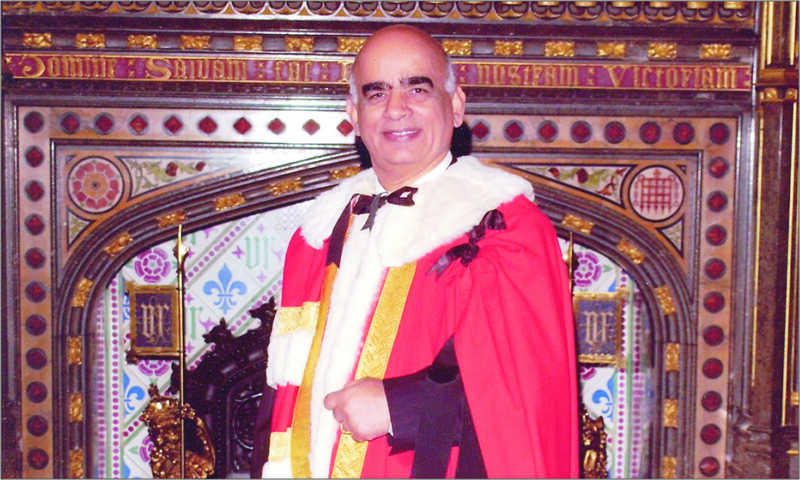 I, Diljit Singh Rana, Baron Rana, MBE (born 20 September 1938) am a British Parliamentarian and member of the House of Lords. 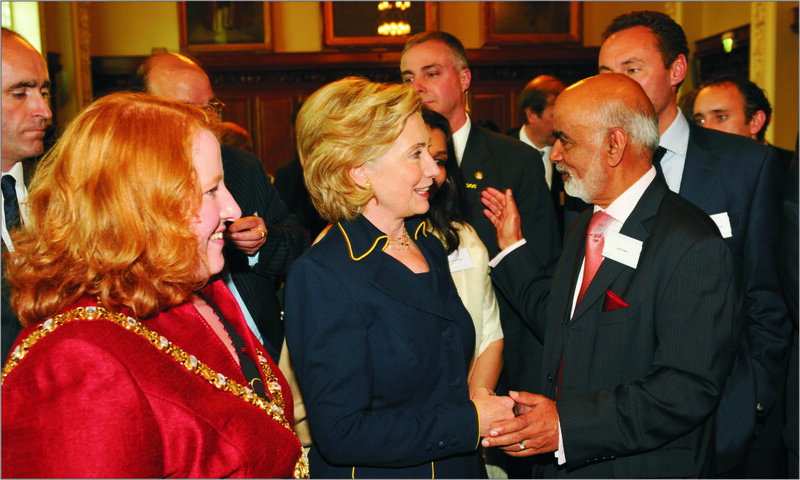 In June 2004, I was created a life peer as Baron Rana of Malone in the County of Antrim. I was born in Sanghol, Punjab, India and am the eldest sibling of three brothers and two sisters. 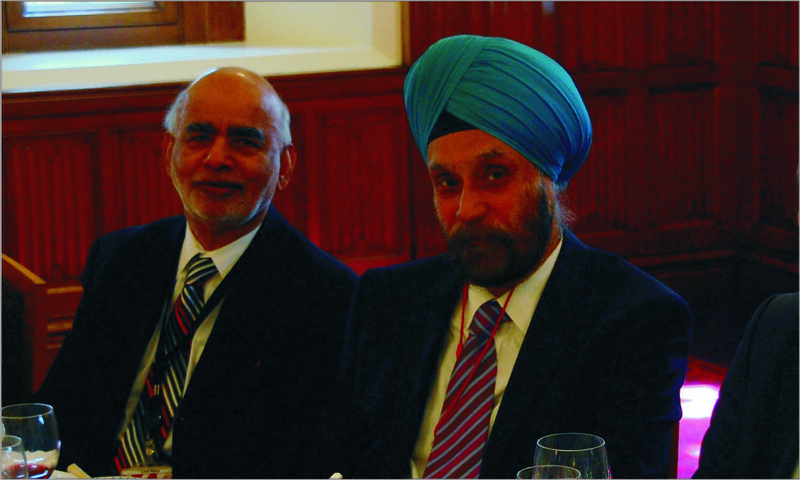 I left Punjab in 1963 for England, and have now been a resident of Belfast since 1966. I have 2 sons, Rajesh & Ramesh. For my contribution to the economic regeneration of the city of Belfast through the development of hotels, restaurants, fashion shops and modern office accommodation, and encouraging inward investment into the city of Belfast, I was awarded an MBE in 1996. 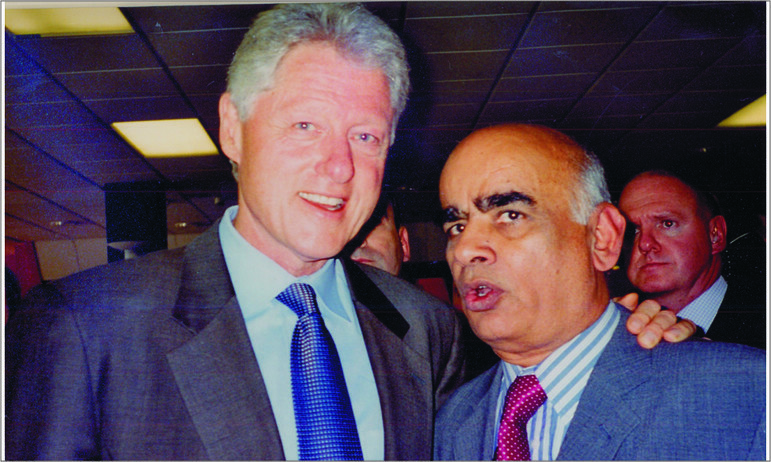 I also set up a charitable trust in 1996 to support charitable and community initiatives in Belfast as well as funding the development of education facilities in Punjab, India. In 1997/98, the trust funded extension & refurbishment of a Government school in village Hebowal, Distt Hoshiarpur. As a result of our investment the school was upgraded to Higher Secondary School and it is one of the best schools in the area. 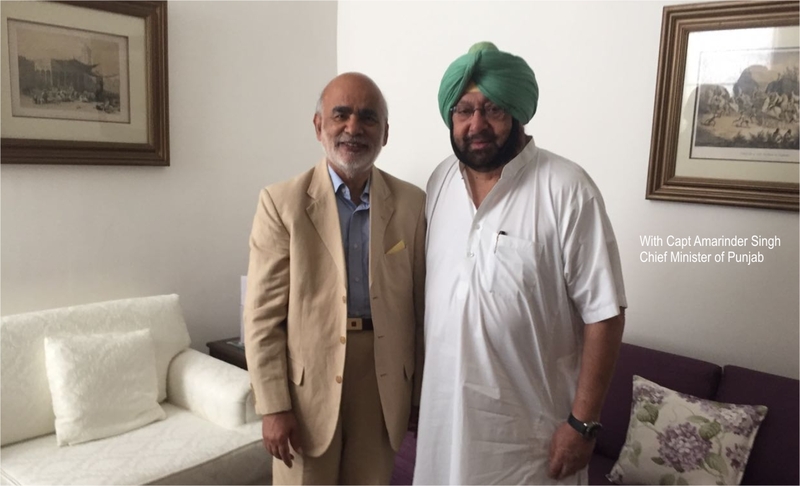 From 2002 the Trust has been funding creation of a major education complex at Village Sanghol, Punjab, near Chandigarh. The objective is to bring 3rd level University education within the reach of students from rural areas. The education complex has over 2500 students of all age groups. 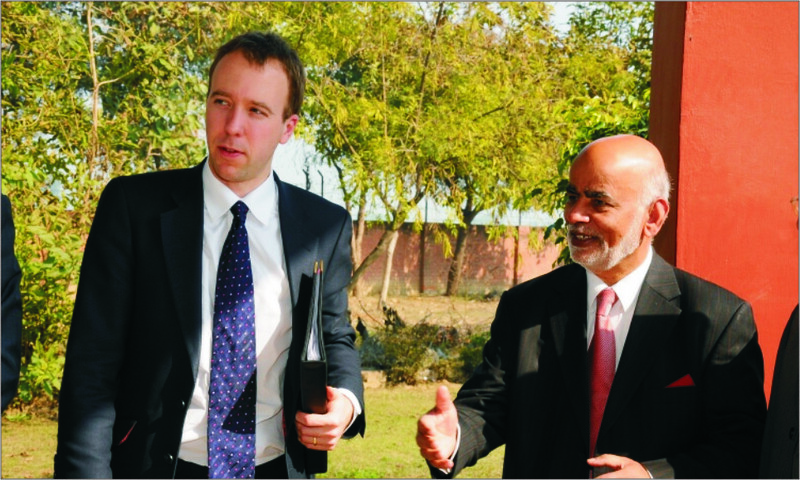 So far we have donated approximately Rs 50 Crores ( £500 Million) for this project. 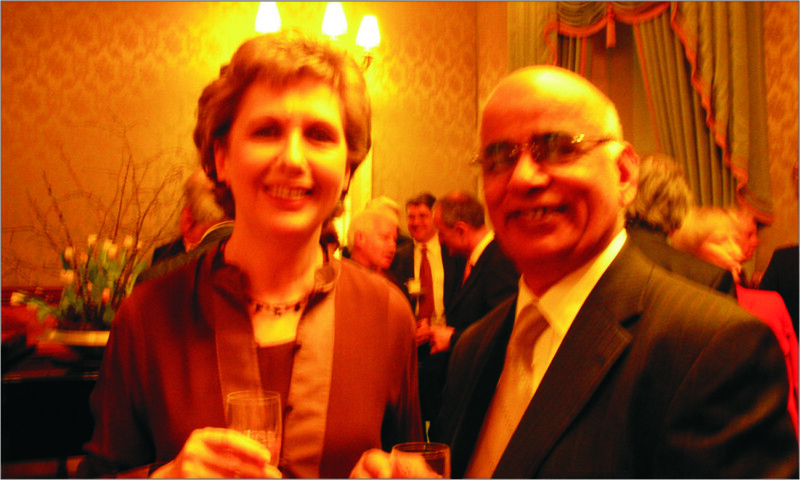 I have been instrumental in organising and supporting Trade Delegations and Education University Delegations from Northern Ireland to India since 2002. 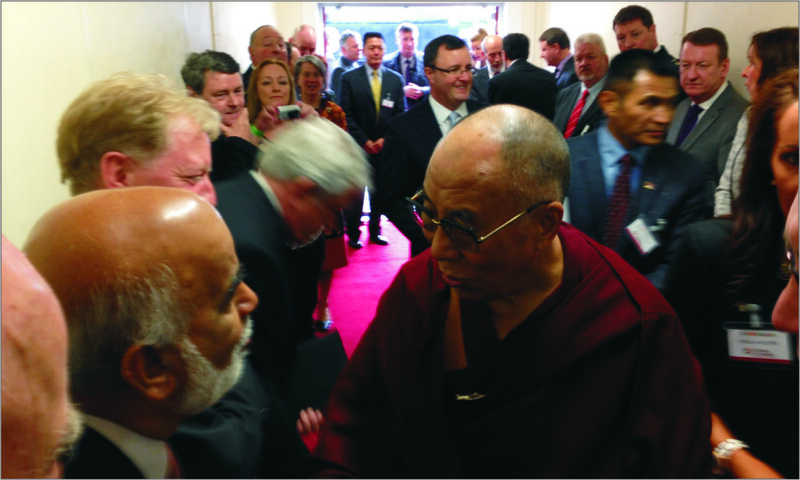 The idea was to explore educational partnerships and help develop university links between India and Northern Ireland. 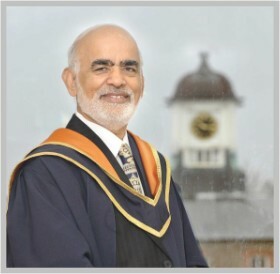 In recognition of my work for the community in Northern Ireland, both Northern Ireland Universities, both Ulster University and Queens university of Belfast conferred upon me honorary doctorates. 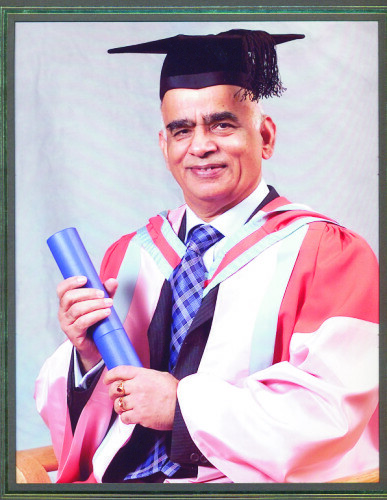 I have also been conferred Honoray doctorate by Bengal Engineering and Science University of Kolkata. 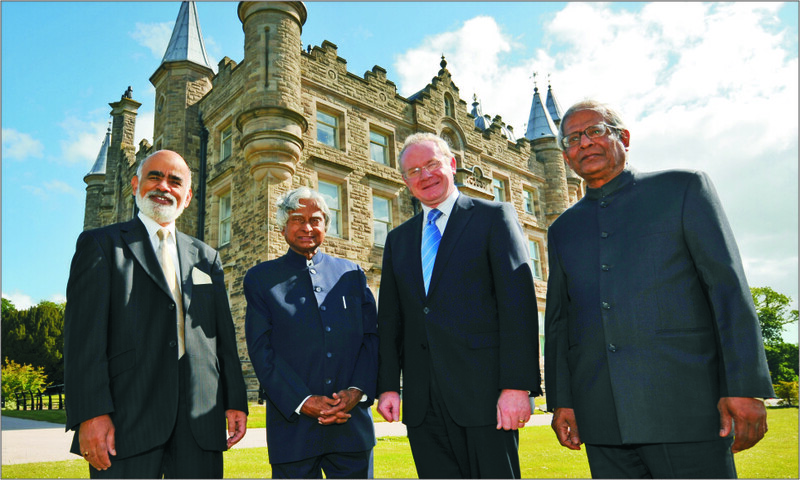 Because of these efforts, The University of Ulster has developed alliances with the University of Madras in Chennai and the Institute of Technology in Mumbai and the Queen’s University of Belfast has formed relationships with the Indian Institute of Immunology, and the University at Hyderabad. 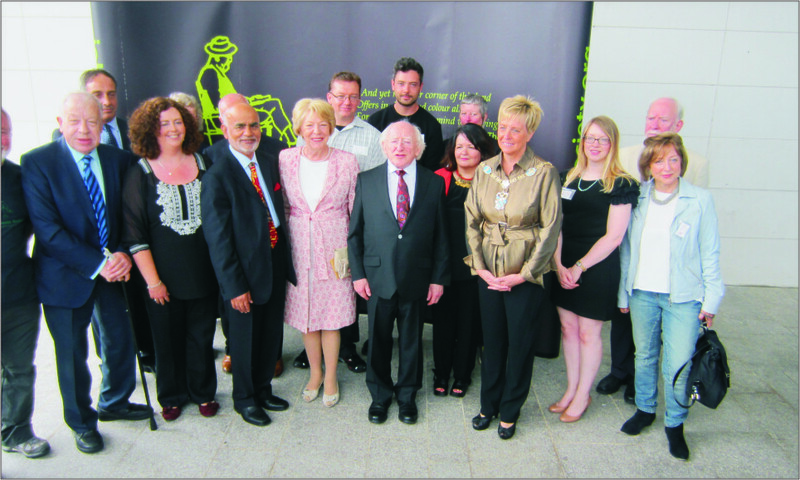 Queen’s is also establishing a Centre for Contemporary Indian Studies in Belfast. 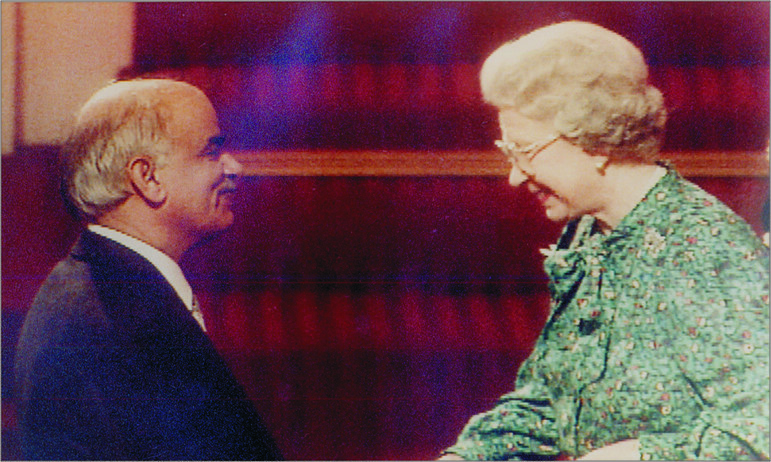 Queen’s has relationships with the Bengal Engineering and Science University at Kolkata and the Indian Institute of Immunology in Delhi. During the troubles in Northern Ireland (from 1970 to 1995), My various Businesses and properties in Belfast was damaged due to bombings and arson attacks over 26 times. I had an outstanding commitment to Northern Ireland Community by way of my Business activities, social activities and encouraging interaction between opposing groups to facilitate dialogue which resulted in a major contribution to the peace process. Today, I have been able to create successful property portfolio and have invested in developing hotels and commercial properties. 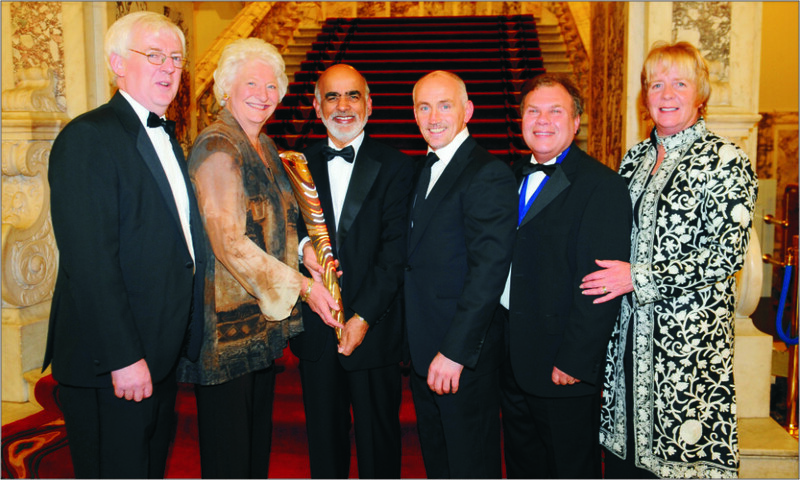 I was the first non Irish to be elected as President of the Northern Ireland Chamber of Commerce and Industry. 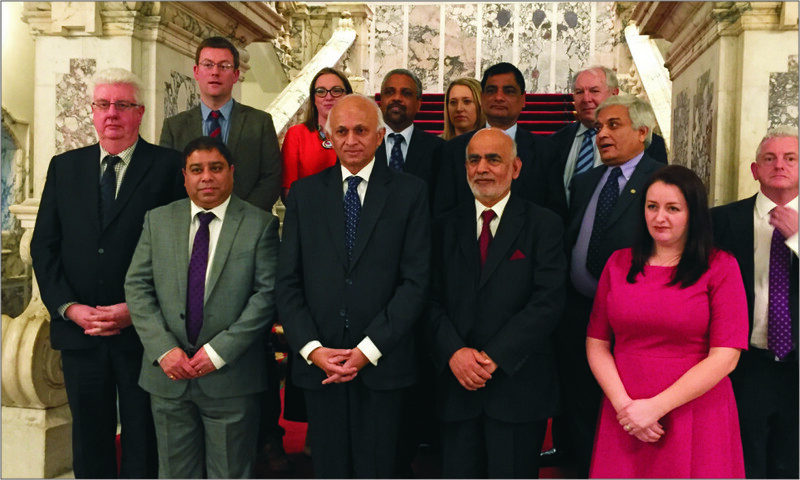 I also devote my time to issues and problems arising in the Indian community in Northern Ireland and have been appointed as Honorary Consul of India to Northern Ireland. 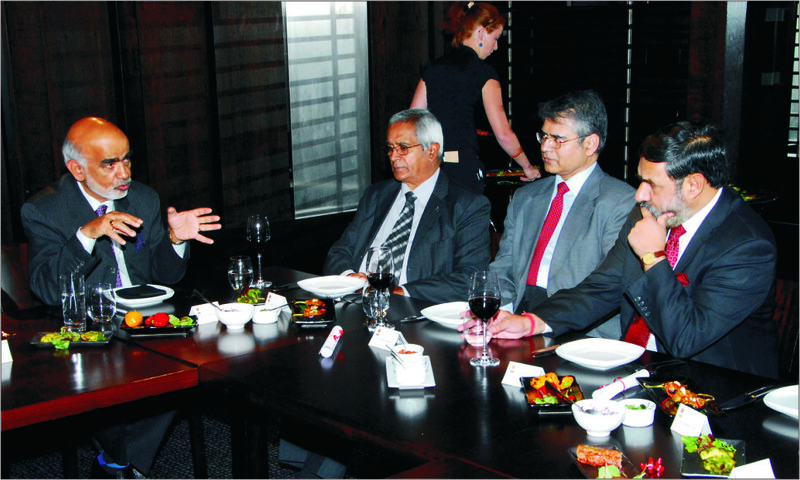 I have been actively involved in promoting business links between India and Northern Ireland. To this effect I have led several trade missions of many Northern Ireland based companies to India to explore business opportunities. 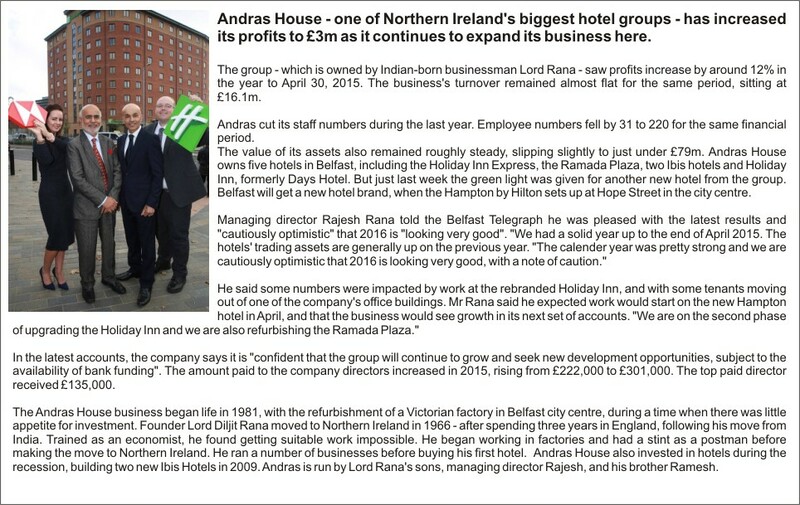 I am the founding Chairman of Andras House Limited, a broadly based company with substantial interests in hotels, restaurants and commercial property in Belfast, Northern Ireland. The Cordia Group of Educational Institutes, situated in Lord Rana Edu-City, Sanghol, is a life-time vision of mine. It wishes to transform the lives of rural youth through world class educational opportunities in an integrated campus with state of the art world class infrastructure, skills and personality development in an environment of excellent teaching and learning practices. 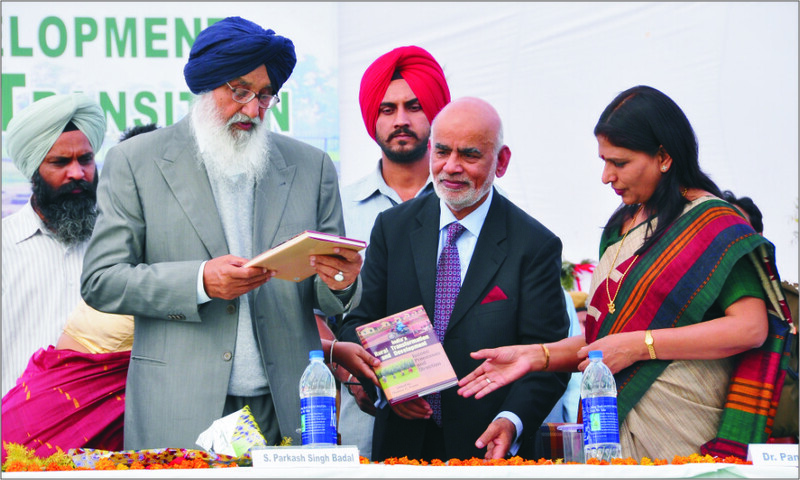 It was my childhood desire to do the best for the development and growth of Sanghol, my birth place, finally, along with the Members of the Sanghol Panchayat, and eminent educationists, it culminated into the growth and development of an Education complex on the Chandigarh-Ludhiana highway, in the state of Punjab. 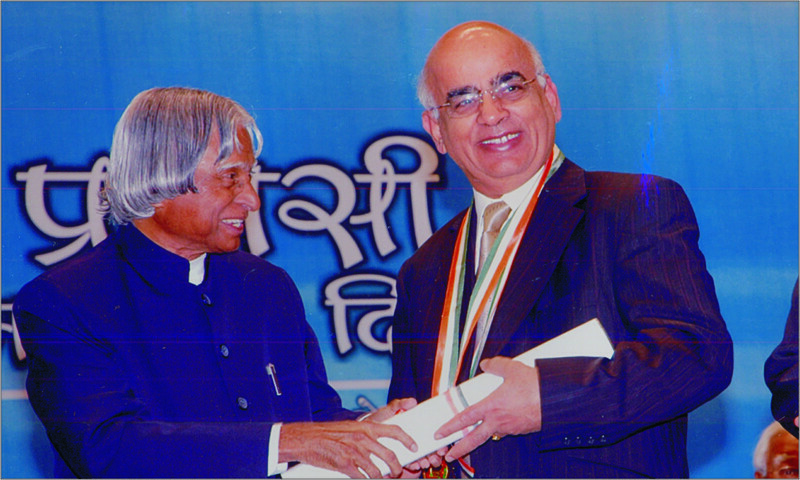 The former President of India, a great visionary, scientist and teacher, Late Dr. A.P.J. Abdul Kalam, who himself was committed to the rural development inaugurated the educational complex in 2005. Since then, I am committed to the education of rural youth. The Cordia Group of Educational Institutes has been a source of excellent education in Arts and Humanities, Computer Applications, Science (Medical and Non-Medical), Commerce and Business Management, Hotel and Tourism Management, Education and Skill Development programmes along with opportunities to provide international exposure to its students and faculty. Committed to education of rural youth and rural transformation, the Cordia Group in its beautiful green and educationally conducive environs it is steadily progressing towards the realization of the ideals and vision of Late Dr. A. P. J. Abdul Kalam and my dream. The Sanghol Educational Complex was officially opened by Late Dr Abdul Kalam, President of India, on 17th August 2006 at an event for local community leaders, government and state representatives, and students.The Project has been developed in line with President Kalam's Providing Urban Amenities in Rural Areas (PURA) vision. I have implemented these initiatives proposed by Dr APJ Abdul Kalam at Sanghol Educational Complex, which are planned to bridge the gap between urban and rural India and to make quality higher education available at village level”.